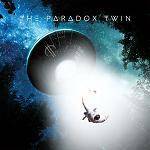 More information: Originating in Berkshire and fronted by main songwriter Danny Sorrell, The Paradox Twin are a progressive rock trio who are set to make 2018 their own with their debut album “The Importance of Mr Bedlam. The album has a very interesting concept while the music combines classic rock and prog elements with a contemporary uplifting feel. “The Importance of Mr Bedlam” was produced by John Mitchell, and features guest spots from both John Mitchell and Kim Seviour.